The minimum system requirements are nothing to be afraid of, required CPU's are five years old and GPU's even more so the game should run on majority of today's hardware without any problems. Similar with recommended hardware specs, CPU's are also five years old, but newer architecture with higher clocks. Recommended GPU's are two generations newer then minimum and even those are in the mainstream range. All the tests have been done on system with Core i7-2700k clocked to 4.5GHz, 32 GB RAM and HD 6870 with 1GB of VRAM. The testing was done in 2560x1600 resolution to eliminate 60 FPS limiter. Benchmark consisted of driving one lap in test drive mode in New York car dealer during the day. The game is running on the Babel engine developed in-house by Ivory Tower and offers few tweaks in the graphics options menu. Every common wide-screen resolution is supported and that includes 4k and ultra wide-screen resolutions. 4:3 aspect ratio resolutions are not supported at all and even if you force it by editing configuration files or by using borderless windowed mode, the picture will be stretched from wide-screen resolution. There is field of view slider, but for some strange reason this slider is not enabled for single screen setups. There is a cvar in the configuration file and editing it moves the slider in the menu, but it has no impact on the game. It should work for multi-monitor setups with AMD Eyefinity or Nvidia Surround technologies, but I was unable to confirm it on my system. Another issue is forced framerate limiter. It can be set to 30 or 60 frames per second, but higher framerate is not available. Other options in this menu are common effects that can be tweaked or turned off completely. The Crew has four quality presets - Low, Medium, High and Ultra. On the Low setting not every option was turned off so be sure to check them if you have performance problems. Also Ultra preset is not setting anti-aliasing to maximum and keeps it to MSAA 4x instead of MSAA 8x. At the Low preset the game performs very good on my aging GPU considering it has to run at 4Mpix resolution. And even on Low the game doesn't looks half bad. Medium preset offers better shadows and higher resolution of environment mapping and costs around 12% of performance. Performance drop of High preset is above 18% and further enhances shadows and mirroring on the car. Overall level of detail is better as cutoff for objects to disappear is further. Ultra preset means almost 32% performance drop from Low but I haven't noticed much difference from High. The testing was done with only FXAA instead of presets default anti-aliasing, because I was unable to get consistent results. More about that later. I've experienced stuttering on some skill races. The game runs on stable framerate, but it stutters a bit when I reach specific point in a few skill races. Other than that, the game runs very nicely. Full resolution screenshots: Scene 1 Low, Medium, High, Ultra; Scene 2 Low, Medium, High, Ultra. 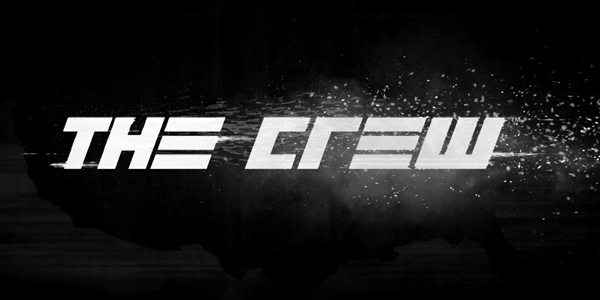 The Crew is racing game and as such it offers variety of control options. You can drive with keyboard, controller or a steering wheel and each can be separately configured. Even controller buttons can be remapped. Unfortunately I don't own steering wheel so I cannot comment on that, but controller and keyboard controls seemed pretty well done. Button prompts on the screen are changing on the fly and depends on the last input from controller or keyboard. Plugging the controller in the middle of the game can cause problems though. The game crashed once when I turned controller (wireless 360) on and commonly D-pad was not responding after the controller was connected after the game loads. Audio settings menu has several sliders to adjust volume of different aspects of the game's audio. The Crew is also supporting 7.1 surround sound, however surround sound is utilized only for few effects such as bypassing cars, roadwork etc. Radio, voices and car engine sounds only from front speakers. When driving, you can choose from a few radio stations and skip the songs on the fly. In this section we are going to look at how each effect impacts framerate and how does each setting looks on screenshots. Be sure to check full resolution uncompressed PNGs linked in each section. Or visit gallery for list of all screenshots for this article. I've got a few issues with anti-aliasing in The Crew. The main problem is very unstable performance regardless of resolution. MSAA 4x was running fairly OK with expected framerate drop when my car was stationary. When the car moved, the framerate plummeted to unplayable levels. Same with MSAA 8x but much more unstable. This is the reason, why there is no benchmark for each AA method. The FXAA had only small FPS drop as it is just a post process filter. I wasn't able to select TXAA on my AMD card. As expected the game is heavily aliased and running lines are very much visible on the car without any AA applied (middle section of the comparison above). FXAA offers much better image quality and the textures are almost not affected, however there is slight moire around shard edges on the textures. MSAA preserves texture quality, but the edge blurring is not that strong and I've noticed light glow on some edges (same issue I've encountered in Far Cry 4). Full resolution screenshots: Off, FXAA, MSAA 4x, MSAA 8x. The Crew features only two ambient occlusion methods: SSAO, SSAO plus or you can turn AO completely off. SSAO is much stronger than SSAO plus, but not as precise. Performance drop is only 8% for SSAO, but almost 30% for SSAO plus. Full resolution screenshots: Off, SSAO, SSAO plus. Dynamic shadows can be turned off or set to one of four level. Each level is increasing shadows resolution and Contact hardening Soft Shadows should blur some of the hard edges, but I haven't noticed any major difference from High setting. Performance drop noticeable from Off to Low (around 10%), but negligible for additional levels (around 2%). Soft shadows option is exception with performance drop of 21% from no shadows. Full resolution screenshots: Off, Low, Medium, High, Contact Hardening Soft Shadows. This setting is managing polygon resolution of the game's assets and object's cutoff distance from camera. Performance impact is not very substantial and from Low to Ultra the FPS drop is only around 6%, image quality is much better though. Full resolution screenshots: Low, Medium, High, Ultra. Textures is the only setting, that requires resetting the game (that is why the car in the screenshots has different color). Impact on the game is rather questionable. From the screenshot the roadway on the right side of car has little bit more details on Low setting and I haven't found any difference on other textures. But that could be affected by weather or the bump map could be generated every time the game is loaded. Nevertheless other textures stayed pretty much the same regardless of texture setting and average framerate also stayed at the same level. Full resolution screenshots: Low, Medium, High, Ultra. This setting affects resolution of real time reflections on player's car. The game looks much better when the effects is set to Ultra as the reflections are very sharp and almost at the same resolution as the rest of the world. Performance impact is around 10% for Ultra setting, 8% for High and 2% for Low. Full resolution screenshots: Low, Medium, High, Ultra. I haven't noticed this effect during gameplay but it is heavily used during cutscenes and in the garages. Performance impact is around 5% for Low and 10% for Ultra. Full resolution screenshots:Off, Low, Medium, High. Grass setting controls amount of grass billboards in the world. Performance impact of Medium setting is almost none, High setting will cause 5% framerate drop. Full resolution screenshots: Low, Medium, High. PC version of The Crew is running very well and offers some graphics tweaking. Controls can be heavily adjusted and the game supports controllers and steering wheels apart from standard keyboard and mouse combo (which is more than capable). There are some issues though. Anti-aliasing was bugged on my system, field of view slider is not enabled for single screen setups and the game stutters occasionally (not as badly as in Far Cry 4, but it is there). Then there is the whole always online thing. The game will not start at all when the servers are offline. This is not good, because every race can be played in single-player and what happens, when Ubisoft decides to pull the plug? Overall The Crew is an average port without game-breaking issues. Which sadly is success after Ubisoft's disastrous this year season. The game key has been provided by the publisher and contained the game, several cars and the season pass. Note that I have replaced instances of the plus symbol with the word plus; the symbol shows up fine in the editing window but is invisible in the live page for some reason.